Got your Bluetooth speaker yet? Here’s another entry in the field, and it’s from Sherwood. 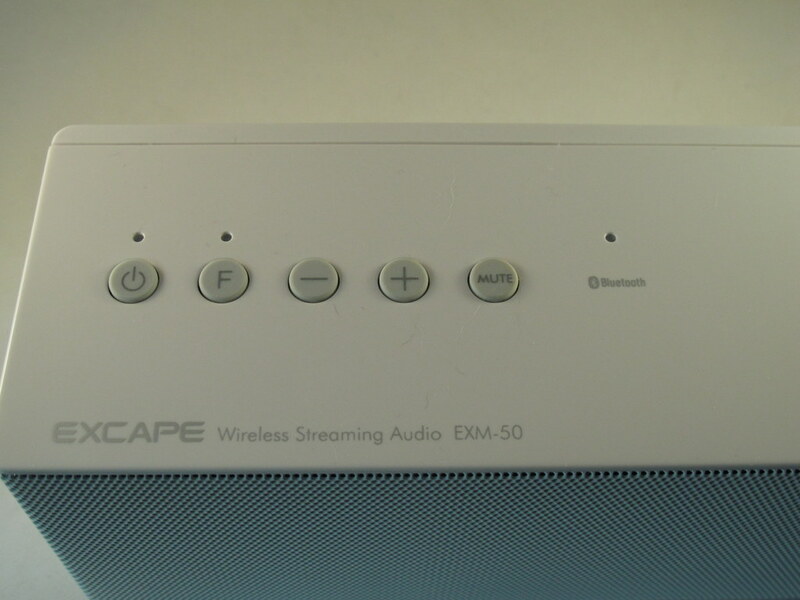 The EXM-50 does everything you’d expect from a Bluetooth speaker, plus it has apps for iOS and Android to control the device and is claimed to be resistant to spraying water. Being new to the US market, we get to play with it first. 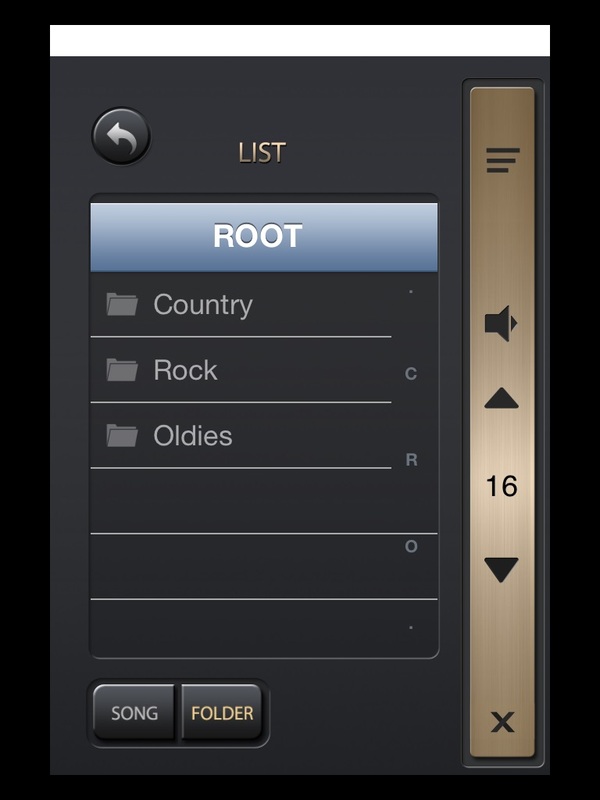 The part I was looking forward to was being able to control the EXM-50 with my iPad mini. 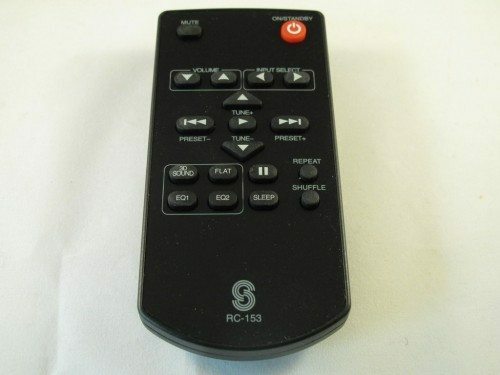 This seemed to me to be just what a couch potato could ask for, but then again, it does come with a remote, allowing you to control everything, but the music streaming anyway. 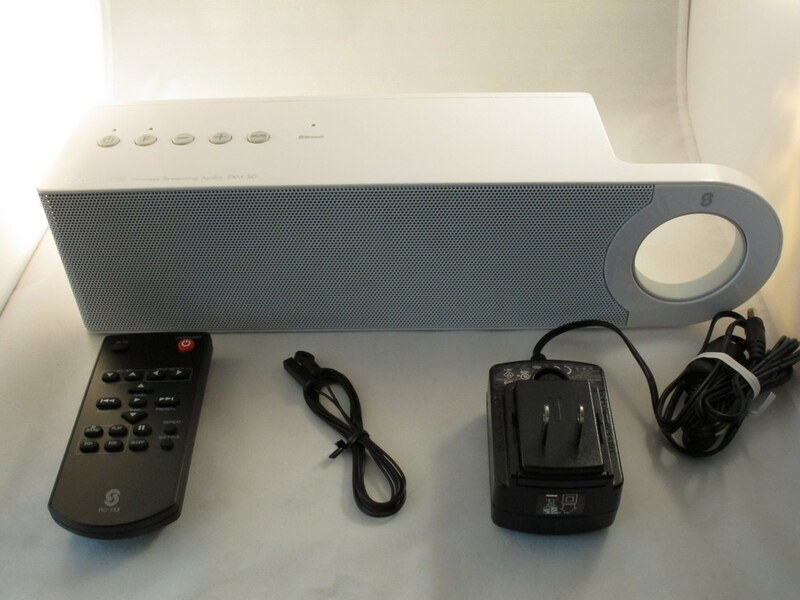 The package came with the speaker, remote, FM antenna, and AC power brick. Here’s a look at the controls and indicators on the top of the box. The power LED is above the power switch, and reading from the manual it states: “Display indicator off; EXM-50 is powered on or power save mode”. Hmmm, isn’t that backwards? It had me confused for a while. The LED was off, but I couldn’t get it to work. Turned out to be that the batteries were dead. Speaking of batteries, they’re not included and you’ll need 6 x AA for portable use. Under the protective cover on the back are the input jacks for AC power, FM antenna, AUX in, and USB port. 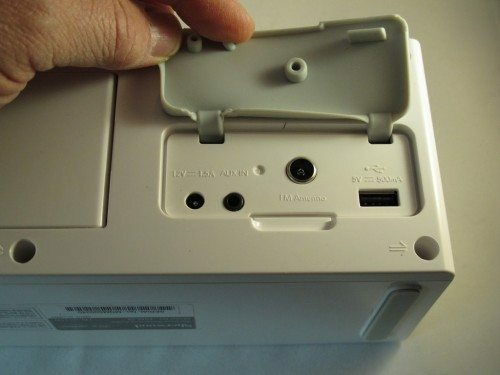 I would guess that the EXM-50 wouldn’t be too waterproof with the cover open, and you’ll need the cover open for AC power. The remote can control the functions of the speaker, not including streaming from the phone/tablet app. It takes 2 x AAA batteries which are not included. I was looking forward to using the iOS app to control this thing. It’s available at the iTunes store and is free. I downloaded it to my iPad mini and fired it up. The first thing I saw is a pop up telling me to upgrade the firmware in the EXM-50. To make a long story short, I was eventually able to find the upgrade file, but there were no instructions on how to install it into the EXM-50. After bouncing around the net for what seemed like hours, I was able to locate a phone number for product support in the US and spoke to a nice gentleman who was surprised I found the firmware upgrade, because he didn’t think it was posted yet. He told me to load the upgrade file into a USB drive in a folder labeled UPG at the root level. Then, turn on the speaker and tune the FM to static and plug in the USB drive. Yep, that did it. Who would have guessed? Now that I was updated, I got this screen on the mini. 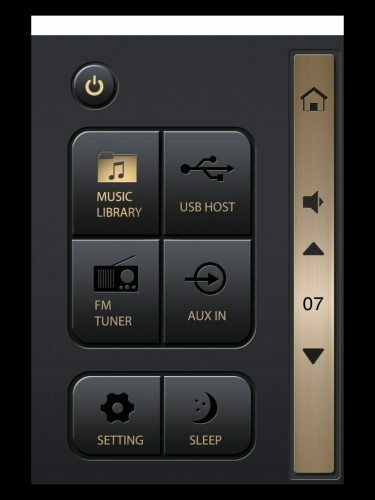 From here you can control all the inputs, turn the unit on/off, adjust volume, and set a sleep timer. To connect to the speaker, you’ll probably have to go to Bluetooth settings in your iOS device and pair with the EXM-50. 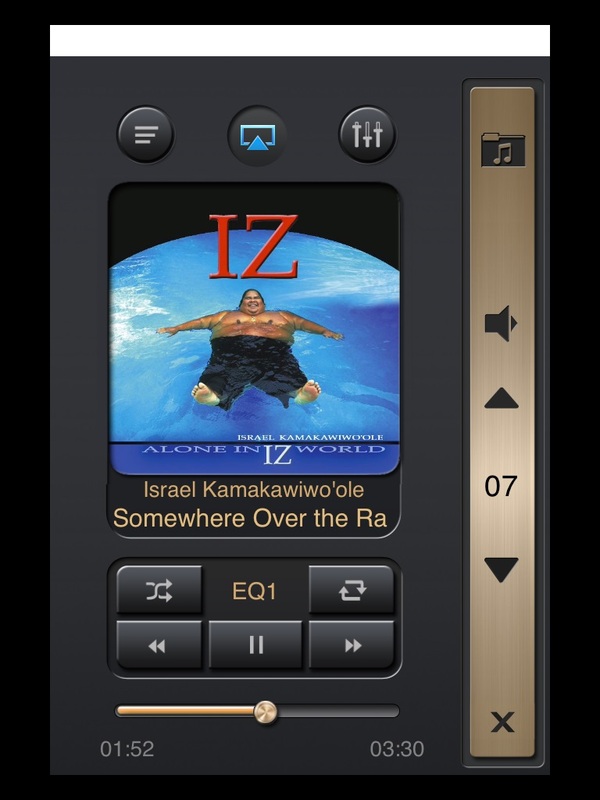 When streaming from your iOS device you have some playback controls, and if available, the album art is displayed. Equalizer settings are available for all the inputs. When playing content from a USB drive, it can be accessed through folders. 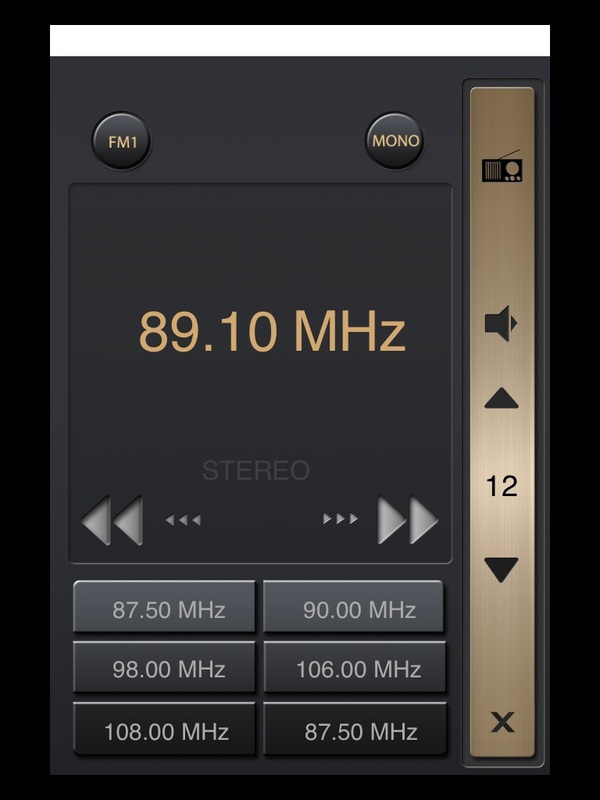 The FM screen allows one to search for available stations, and those can be stored in several presets. I suppose someone listens to over-the-air radio, but I get all mine on the net. Ever since I received this Bluetooth speaker, I wondered what market it was trying to address. The iOS app is interesting, but it doesn’t do anything for streaming I can’t already do using the iPad music function. Yes, it can control the AUX, FM and USB inputs, but so can the remote. It also has some quirks. For example, when pausing a track and then selecting another, the pause/play button becomes inoperable until you go back to the previous track. Another idiosyncrasy is that when closing the app, it stays connected to the speaker via Bluetooth. 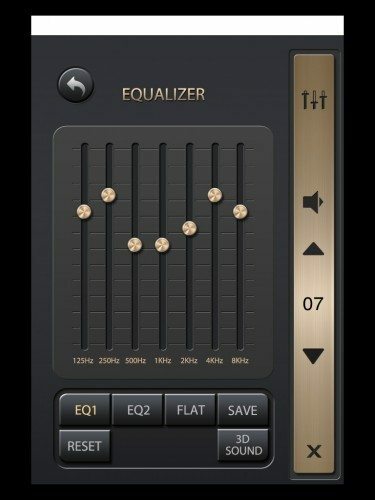 Until you either manually disconnect the speaker in the app or go into your settings and forget the device, all your audio will be routed to the speaker and not your device, at least until you are out of range of the EXM-50. The upside to this anomaly is that you can stream services, such as Pandora, though the EXM-50. I was looking forward to using the EXM-50 next summer at our cabin on the lake. I could set it on the dock and stream tunes from my i-something while the grandkids and family were in the water. Well, after the first 2 hours of using the speaker, I knew that wouldn’t happen, because that’s about how long a fresh set of batteries lasted. To me this is a deal breaker. On the plus side, to my tin ear, the sound quality was great. 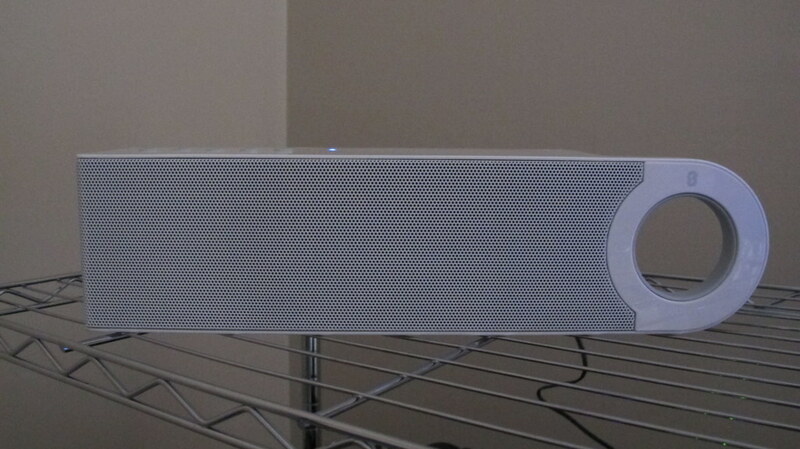 For less money, there are plenty of Bluetooth speakers available. There’s not much here that differentiates this one from the others. The most useful aspect of a speaker review would be the sound quality. No mention of the sound quality in detail. And whom did you speak with at Sherwood? Never got a name on the phone, but he was very helpful. I am looking to renovate my outdoor living space and I would really love to add some music. I want the music to be in my garden and pool area, but I am not too sure which outdoor speaker to go with. The area is quite big so the sound quality should be excellent. I was thinking about in-ground speakers because they have a 360 degree range. Do you have any suggestions that would help me? I’ve tested almost every outdoor speaker you can find, and based on my experience I would definitely recommend the Polk Audio Atrium 5 or a bit more expensive Polk Audio Atrium 6 for patio areas. I have no experience with in-ground speakers, so would not be able to suggest anything. However, we have many readers and perhaps some of them could give their thoughts. I’d suggest the Bose Free Space 51 in ground speakers.